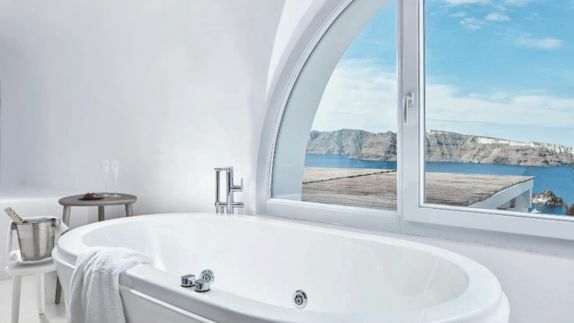 The Katikies Hotel sits majestically at the most western point of Santorini, on the very top of the deep slope of the island’s world famous caldera. 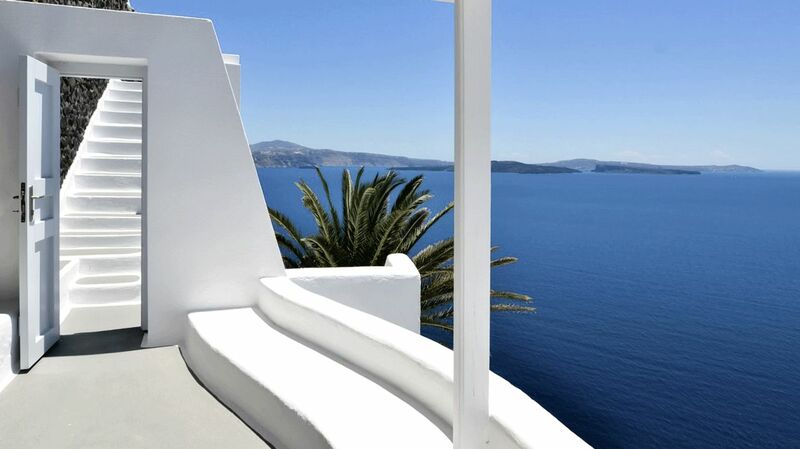 Here, the land is seemingly carved to offer endless views of the horizon and the deep blue of the Aegean Sea, inspiring deep emotions of both enchantment and fascination. 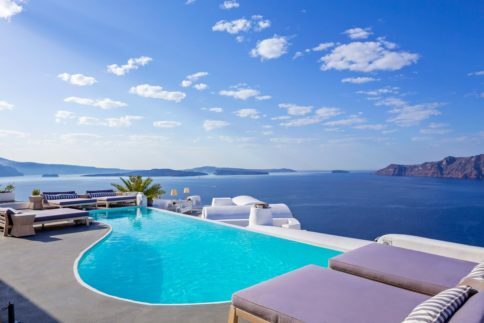 Lounge your days away basking in the Greek sun and enjoying a magnificent backdrop of volcanic views as the gleaming and glistening white luxury hotel and perfectly manicured pink Bougainvillea bushes create pure paradise. What are the views like? 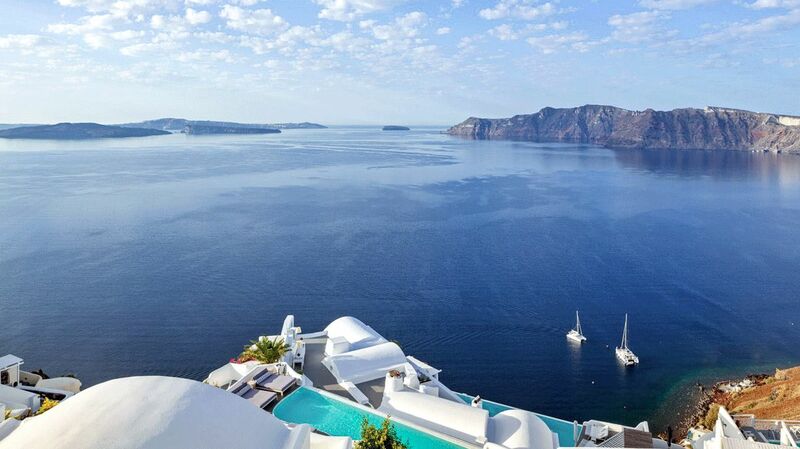 How far will I be from the airport of Santorini? Welcome to Oia, a place where every corner is plunged into photogenic cleanliness. 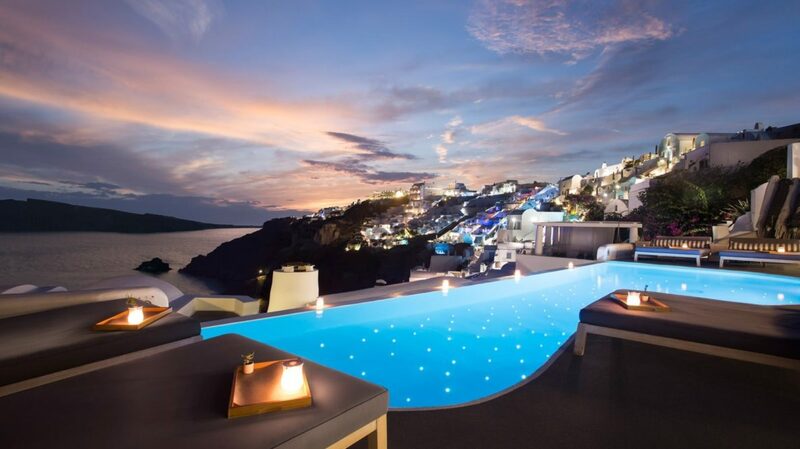 As the dancing greek light constantly changes the landscape around you, watch the enchanting Santorini sunset transform your surroundings into a warm atmosphere and serene sense of romance. Step back and enjoy a positively gleaming backdrop of dramatic cliffs spilling into the magical Aegean Sea. 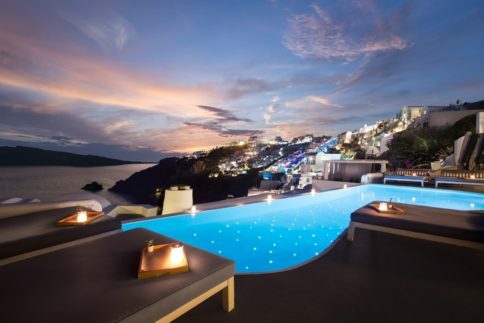 What kind of villas can I choose from? What will the views be like? 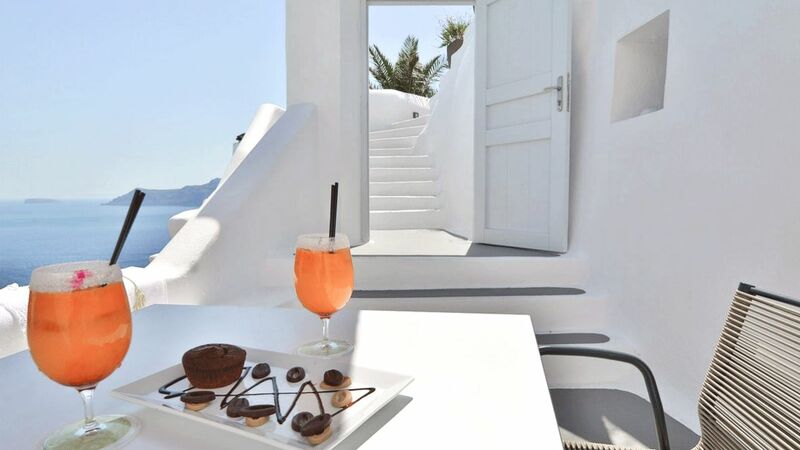 Settled in perfect harmony with its surroundings and decorated with the utmost respect of antique Grecian culture and nature, the Katikies Hotel gracefully blends into the dramatic black rocks of Santorini. 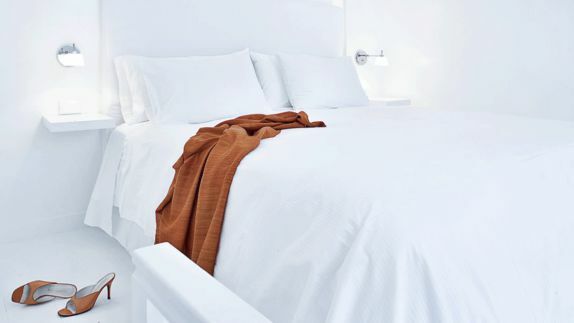 The hotel’s simple elegance with its private terraces and their vivid, crisp surfaces of snow, gleaming white, projects the unconditional feeling of pure intimacy and allows you to enjoy the everlasting beauty of Santorini. 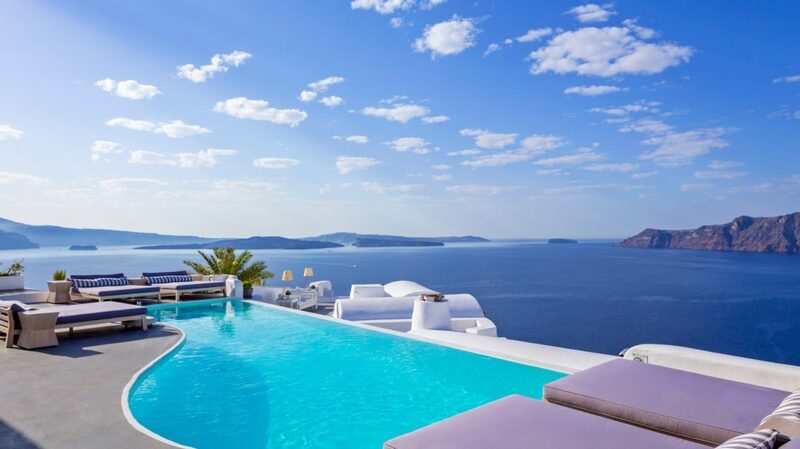 Where can I lounge in the Santorini sun? Is there a spa? Dive into plunge pools with unstoppable views spilling into the beautiful caldera as the elegantly natural surroundings take luxury to a whole new level. 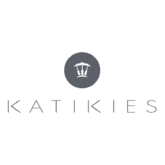 As the spa area is tucked away in a serene Santorini sanctuary, sure to bedazzle your senses, the Katikies manages to create an atmosphere beyond imagination. 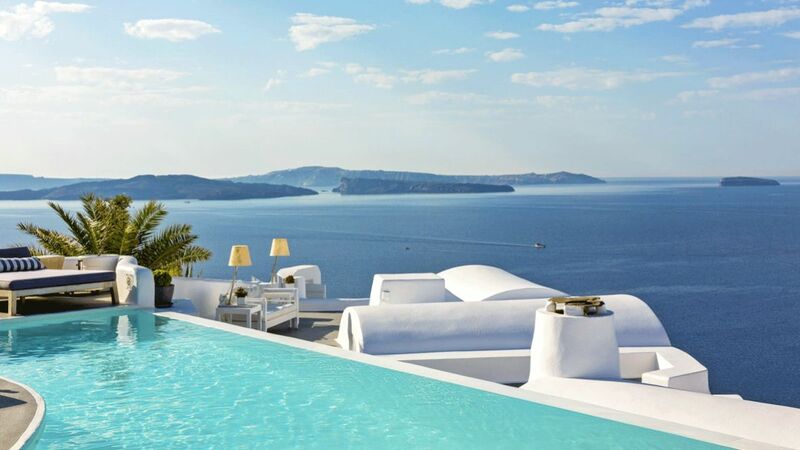 The pool and spa area skillfully embodies the chic character of Santorini and makes sure to create mesmerizing experiences. Where can I get a bite to eat? Will I be able to dine with a view? 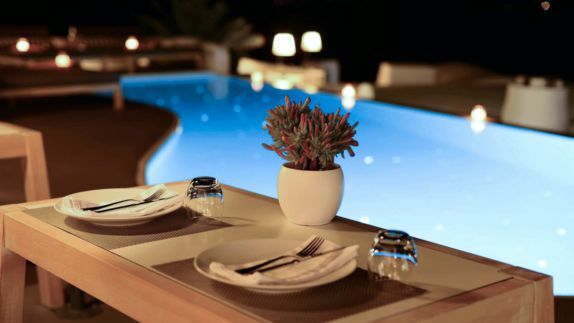 Lavish Greek dining, beautifully executed services and impressive venues invite you in for exquisite experiences on candlelit terraces or by the plunge pool overlooking the changing hues of the Aegean Sea. 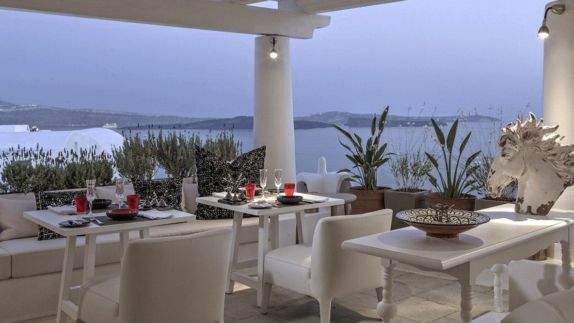 Enjoy exotic cocktails, redefined Byzantine cuisine and extensive menus á la carte where regional ingredients and fresh produce come together to create gourmet experiences that will leave you speechless. How can I spend my days? 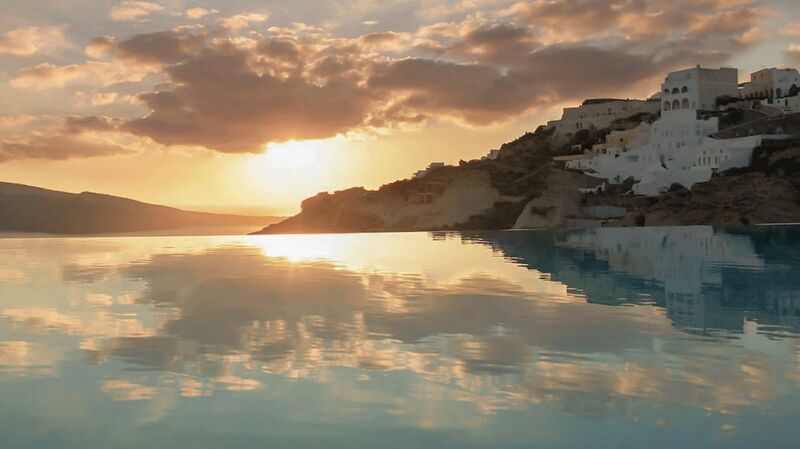 What kind of activities does Santorini have to offer? 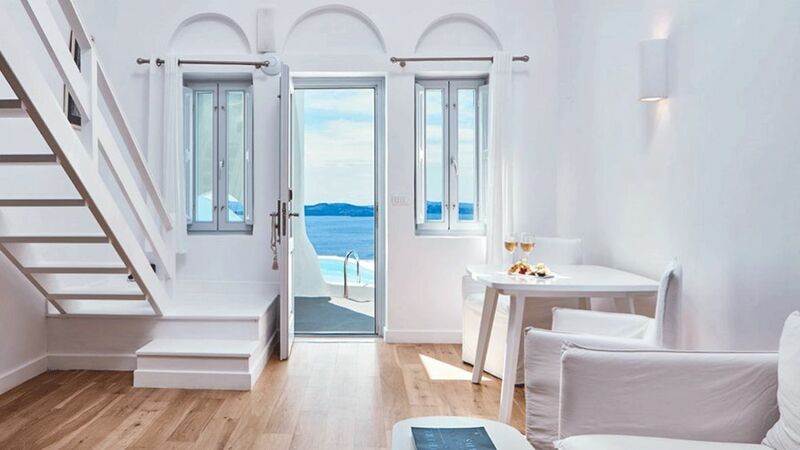 Whether you are seeking out relaxing days spent falling asleep in the Greek sun to the calming sound of the whistling wind and the waves of the ocean rocking you into a soft slumber or looking for action-filled days spent jumping off cliffs into the azure Aegean Sea. 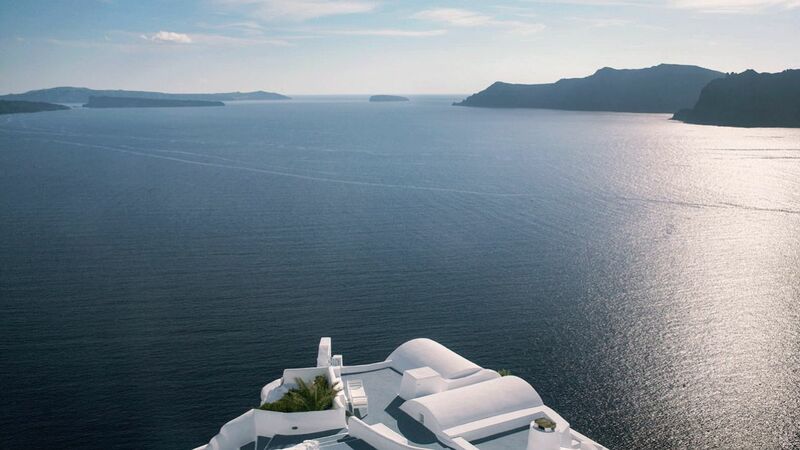 Santorini is filled with exciting activities for everyone to enjoy and moments of pure luxury that are sure to create the perfect adventure for everyone.